OUR PAINT SOLUTIONS AND ADVICE ARE FOCUSSED ON ONE THING ONLY - PROTECTING YOUR ASSETS! Dekade Paints are tried, tested, trusted – and our expert advice the same. Distinctive, desirable, dependable. 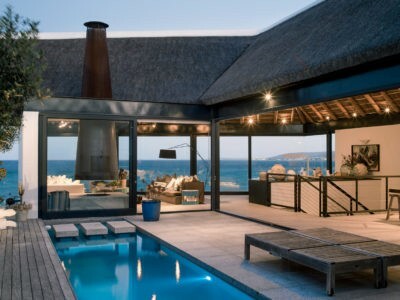 Dekade Paints, decorating KwaZulu Natal since 1979. Made in South Africa to the highest specifications and industry standards, Dekade Paints produces a range of premium-quality coatings for the local market that are world-class. Our products are designed to withstand the local climate – the damp, humid summers at the coast and the cold, dry winters inland – which helps us to beat our competitors on performance, always. 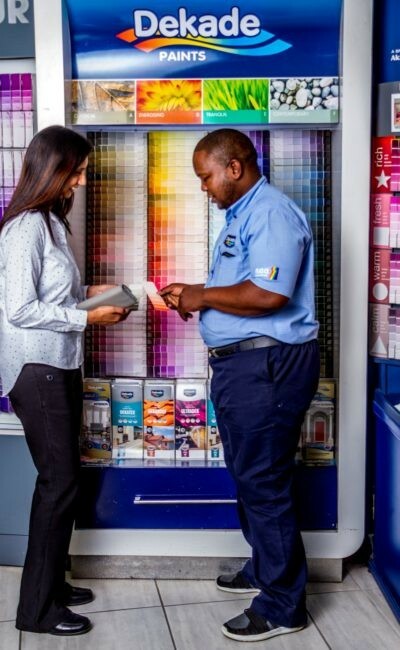 As Southern Africa’s go-to paint solution specialists we listen, guide, advise and solve paint problems. 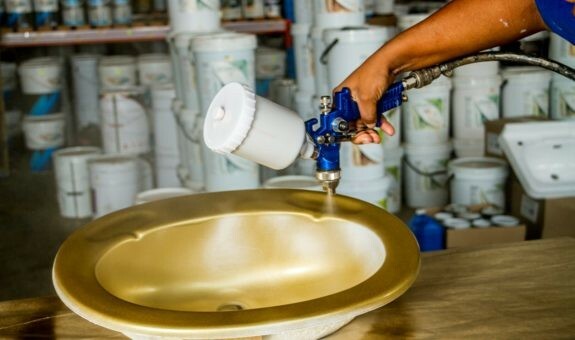 As industry experts with deep knowledge across our product line, we are Southern Africa’s go-to paint solution specialists, always advising customers on the best options to take as part of a comprehensive, three-stage paint coating process, inclusive of a primer, undercoat and full-finish application. Using our deep industry experience, our approach is always to develop customer solutions that meet local and international standards. From advising on how best to hide an uneven surface to choosing the best colour tints, we always put your best interests first. Lifting the aesthetic and showing off your true colours. 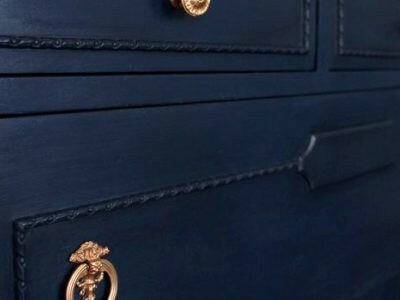 From industrial powder coatings to decorative coverings, paint trends are ever evolving with new, innovative products coming to market and colour fashions coming and going. With an eye keenly focussed on keeping ahead of current paint trends, Dekade Paints is continuously adapting and renewing its product range, with a paint palette that goes way beyond standard colours. 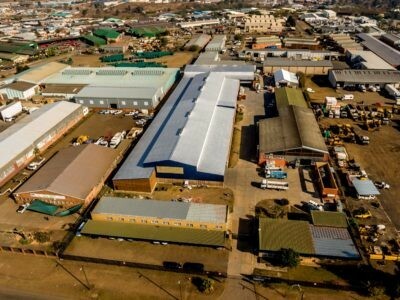 Made in South Africa to the highest specs and industry standards, Dekade Paints produces a range of premium-quality coatings for the local market that not only are world-class, but stand up to the rigours of South Africa’s demanding climate and often unforgiving environmental conditions. 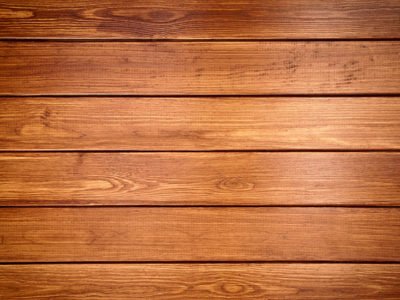 An economical gloss varnish for all interior wooden surfaces. A hyper-efficient, ready-to-use product to kill fungi/algae and any other micro-organisms prior to painting. Low to medium-priced general purpose PVA with range of standard colours. About 8m²/l. A quality product that can be used directly on new or old galvanised iron sheeting, malthoid roofing (an asphalt waterprooﬁng membrane with a ﬁbre felt) and old creosoted timber, without priming. No elaborate surface preparation required, except for just a clean and dry surface before painting. A concentrated emulsion paint used for the marking out of playing fields. Longer lasting compared to whitewash. Our paint solutions and advice are focussed on one thing only – protecting your asset! the latter of which is often overlooked. 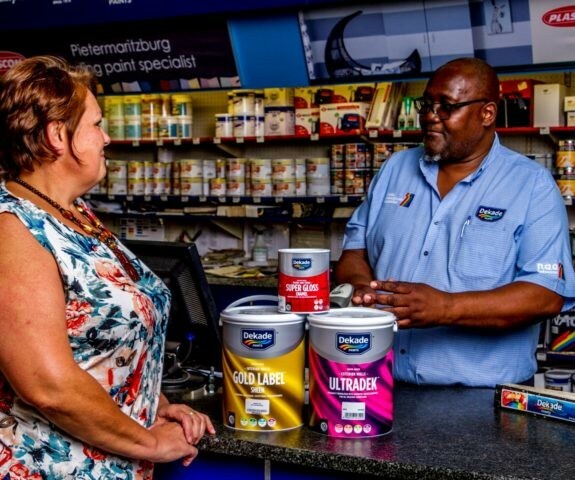 Dekade Paints has extended its footprint beyond its KZN homebase, the company is notably expanding nationally, with its product range also available in Gauteng Province. Distinctive, desirable, dependable. 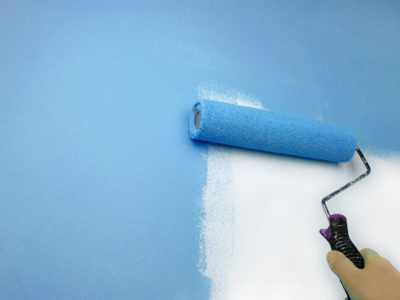 Dekade Paints, decorating KwaZulu Natal since 1979.